According to the Royal LePage House Price Survey¹ and Market Survey Forecast released today, sales activity and price appreciation across the Greater Toronto Area (GTA) continued to slow in the second quarter of 2018, compared to the heightened pace witnessed during the same time last year. Most notably, Markham and Richmond Hill saw home values depreciate 8.8 per cent and 12.4 per cent, respectively. During the second quarter, the aggregate price of a home in the GTA decreased by 1.9 per cent year-over-year to $821,632. When broken out by housing type, the median price of a two-storey home decreased by 3.7 per cent year-over-year to $955,395, while the median price of a bungalow decreased 3.7 per cent year-over-year to $799,307. During the same period, the median price of a condominium within the region saw by far the most significant price appreciation, surging 8.7 per cent to $504,073. On a quarter-over-quarter basis, the aggregate price of a home in the GTA increased modestly by 1.1 per cent, while the median price of a two-storey home and bungalow increased by 0.7 per cent and 0.3 per cent, respectively. Condominiums continued to appreciate ahead of all other housing types, increasing by 3.9 per cent quarter-over-quarter. The second quarter of 2018 saw a gradual reduction in sales activity across the GTA, as many buyers remained cautious following OSFI's mortgage stress test regulations. The new mortgage regulations have continued to curb many first-time buyers' purchasing power, especially in the two-storey and bungalow housing types. However, the condominium market remains strong. Positive home ownership experiences from baby boomers has helped fuel a desire for many millennials to become homeowners and enter into the market. "Activity in the Greater Toronto Area has begun to normalize in the second quarter of 2018," said Chris Slightham, president, Royal LePage Signature Realty. "However, while the new mortgage rules have increased inventory levels providing some relief to buyers, reduced purchasing power has forced many to adjust their expectations." Looking ahead to the next quarter of 2018, Royal LePage forecasts that the aggregate price of a home in the GTA will rise by 2.1 per cent quarter-over-quarter to $838,984 as consumer confidence improves and buyers return to the market. Home values in the City of Toronto increased in the second quarter of 2018. The region continues to experience a surge in activity within the condominium market, especially among millennial buyers. The aggregate home price in the region rose by 3.0 per cent year-over-year to $859,489. Over the same period of time, the median price of a condominium increased 9.3 per cent year-over-year to $552,835. Scarborough transitioned to a balanced market during the second quarter of 2018, with many new Canadians and millennials moving into the region. The aggregate home value within the region dropped modestly by 2.1 per cent year-over-year to $656,212. Brampton continued to see a balanced market in the second quarter of 2018. Many new Canadians, first-time buyers and young families remain attracted to the region's relative proximity to the city core in conjunction with affordable detached two-storey homes. Over the three-month period, the region's aggregate home value decreased by 1.9 per cent year-over-year to $684,019. Home values across the Durham Region decreased during the second quarter of 2018. Over the three-month period, the aggregate home price in Oshawa and Ajax decreased 4.9 per cent and 3.9 per cent year-over-year to $533,888 and$659,935, respectively. Home values in Pickering also decreased when compared to the same time last year by 4.0 per cent to $694,933, and the aggregate price in Whitby decreased 5.5 per cent to $662,082. Two of the largest regions with declining home appreciation in the second quarter of 2018 were Richmond Hill and Vaughan. The aggregate home price in Richmond Hill and Vaughan decreased by 12.4 per cent and 6 per cent year-over-year to $1,132,722 and $1,011,913, respectively. These regions were previously the fastest growing. Home price appreciation in Milton flattened in the second quarter. However, the town's booming smart manufacturing economy continues to attract many families to the region. The aggregate home price within the city remained relatively healthy over the quarter, decreasing 3.8 per cent year-over-year to $724,346. The real estate market in Markham saw year-over-year home price decreases in the second quarter, as buyers continued to grapple with a reduction in purchasing power when trying to find a home. During the second quarter, sales activity retreated across the two-storey and bungalow segments within the region as a result of affordability constraints. However, the condominium market continued to grow, as buyers saw reduced purchasing power after the installation of the new mortgage lending regulations. During the period, the aggregate home price in Markham decreased by 8.8 per cent year-over-year to $1,004,095. The Mississauga and Oakville real estate markets entered a cooling period in the second quarter of 2018. During the period, the aggregate price of a home in Mississauga and Oakville decreased 0.1 per cent and 5.3 per cent year-over-year to$733,084 and $1,059,388, respectively. Mississauga remains an attractive region for new Canadians and young families, especially first-time buyers looking to secure a detached two-storey home. Inventory levels in Oakville's housing market increased during the second quarter. However, well-priced homes in the region still continued to field multiple offers and sell quickly. Nationally, price appreciation slowed across Canada in the second quarter of 2018, marked primarily by softness in the Greater Toronto Area (GTA). "It was a spring market that never blossomed," said Phil Soper, president and CEO, Royal LePage. "As anticipated in our original 2018 forecast, the new federal mortgage stress-test measures slowed the market to a standstill in much of the country, as some families adjusted their expectations in a world with lower borrowing capacity, and others not impacted by the OSFI regulations moved to the sidelines, adopting a 'wait and see what happens to home prices' approach." The Royal LePage National House Price Composite, compiled from proprietary property data in 63 of the nation's largest real estate markets, showed that the price of a home in Canada increased 2.0 per cent year-over-year to $613,968 in the second quarter of 2018. When broken out by housing type, the median price of a two-storey home rose 0.8 per cent year-over-year to $720,504, while the median price of a bungalow climbed 1.8 per cent to $512,979. 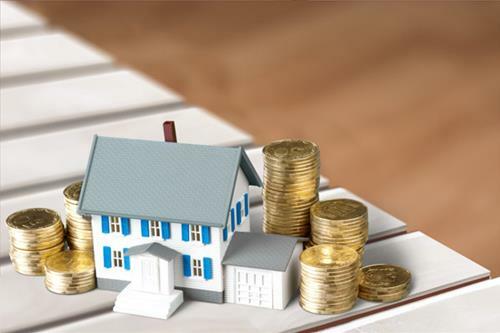 At a national level, condominiums posted a significantly higher rate of appreciation when compared to the detached segment, rising 8.1 per cent year-over-year to $435,421. Looking ahead, Royal LePage is projecting an uptick in home price appreciation in the third quarter and forecasts that the aggregate price of a home in Canada will increase 1.9 per cent over the next three months. "The market has begun to absorb and adjust to the new realities; we expect an uptick in sales volumes and prices during the second half of 2018," Soper continued. "The fundamentals have not changed. The economy is strong and unemployment is very low. We face shortages in our major cities, with many more people looking for homes than the market has available for purchase or rent. Upward pressure on prices will likely return to most markets this quarter." *Data presented in the table above may not match same period data reported previously due to subsequent market updates. Aggregate prices are calculated using a weighted average of the median values of all housing type transactions collected in the region.